At a time when engineers, designers, and builders must find solutions for a resource-constrained environment, new wood technology, materials, and science are accelerating efforts to enhance safety and structural performance. International Building Code requires all building systems, regardless of materials used, to perform to the same level of health and safety standards. These codes have long recognized wood’s performance capabilities and allow its use in a wide range of low- to mid-rise residential and non-residential building types. Moreover, wood often surpasses steel and concrete in terms of strength, durability, fire safety, seismic performance, and sustainability – among other qualities. Wood is one of the oldest building materials known to mankind. Extensive research and documented experience have led to several proven strategies for ensuring wood buildings reach their full potential for longevity. Next-generation wood products, also known as mass timber, offer exceptional stability and strength and have made wood a viable choice to steel or concrete in many building applications. Products such as nail-laminated timber (NLT), cross-laminated timber (CLT) and glue-laminated timber (glulam) are also enabling increased dimensional stability, strength and design versatility to enhance project detailing. There are countless examples of timber structures around the world that are several hundreds of years old, said Eric McDonnell, associate at KPFF Consulting Engineers. Here in the U.S. there are old heavy timber buildings, 100+ years old that are being rehabilitated for creative uses. If protected and maintained properly, there is no reason mass timber buildings can’t exhibit this same level of longevity and durability. When proper fire protection systems are in place, fire can be effectively controlled in wood buildings. 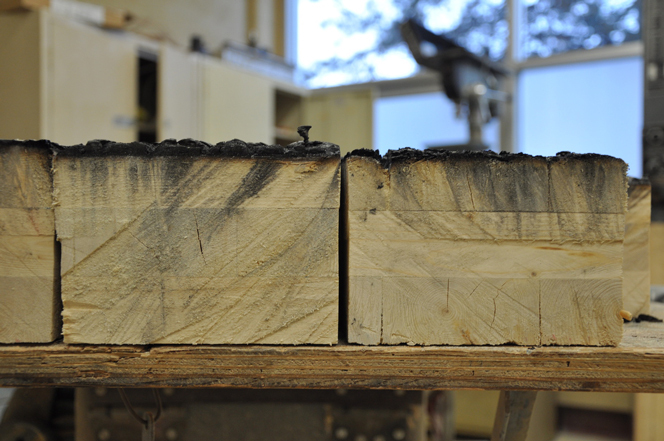 Design and engineering analysis, along with supporting industry research, shows that wood not only meets stringent fire safety requirements but often exceeds them. Mass timber, in particular, enables inherent fire resistance through its natural charring process. Steel conducts heat and loses strength even in lower-temperature fires. Additionally, new wood buildings conceal the steel bolts holding their beams together within the wood to form a protective layer over the steel. Fire engineering strategies must provide the code-required level of safety at each stage of the design process, from building construction to occupancy, said Robert Gerard, senior fire engineer at Katerra. Through meticulous design and implementation – as well as peer-to-peer education among industry professionals – we’re working to demonstrate mass timber’s exceptional fire safety performance. 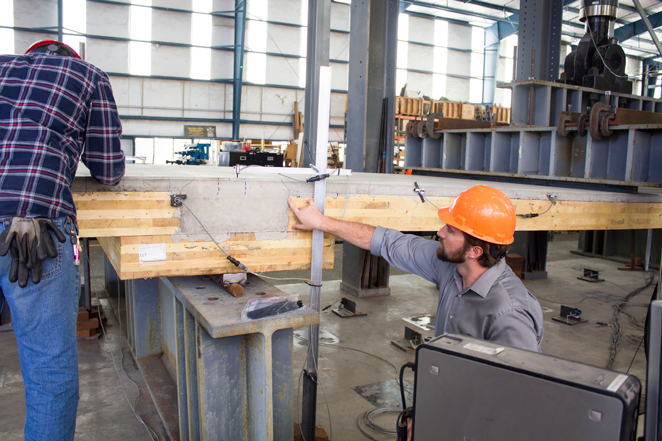 Earthquakes cannot be prevented, but sound design and construction based on research, testing, and compliance with building code requirements can minimize their effects. 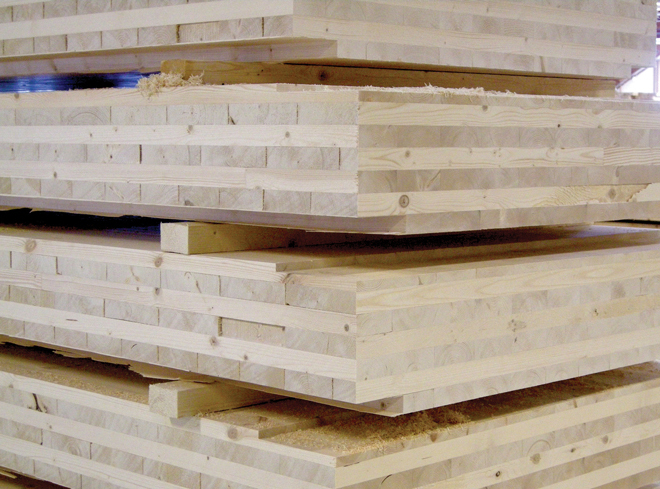 In North America, where wood-frame construction is common, wood’s seismic advantages are often attributed to its lightweight, redundant load paths, ductile connections and detailing. Seismic forces are proportional to a structure’s weight, and wood is substantially lighter than steel or concrete, said Benton Johnson, associate at Skidmore, Owings & Merrill. 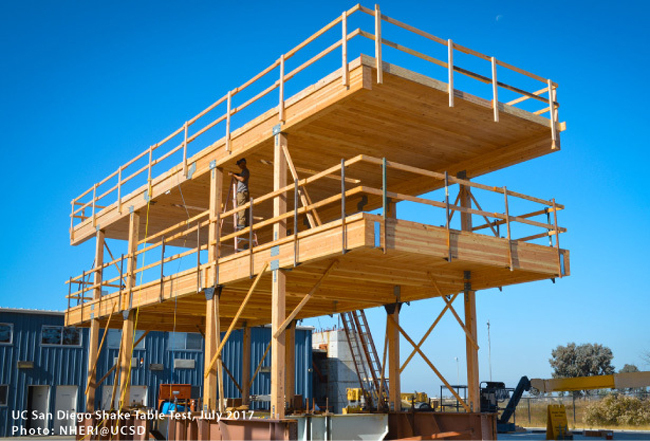 These lighter wood buildingsmean smaller foundation loads and a better performing structure in a seismic event. As the global population continues rising, so does the demand for building materials and the need for sustainable, affordable housing in sprawling urban areas. With mounting pressure to reduce the carbon footprint of the built environment, building designers and developers are increasingly looking to balance functionality and cost objectives with reduced environmental impact. 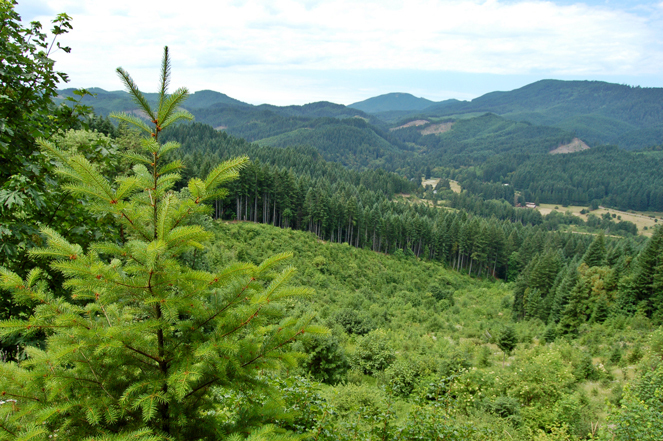 Wood delivers more economically and environmentally and can help achieve that balance. Moreover, wood is the only building material with third-party certification programs in place to verify that products originate from a sustainably managed and renewable resource. It’s important to make advancements in wood buildings because we need more sustainable building materials – and more building systems that can build density in our cities in a sustainable fashion, said Joe Mayo, architect at Mahlum. With the right design techniques and resources, the possibilities of wood are virtually unlimited, delivering buildings that will perform well for owners, occupants and the environment – for centuries.